It's been a while since I've enjoyed a tasty burrito. I never think to make them because they are packed with calories. 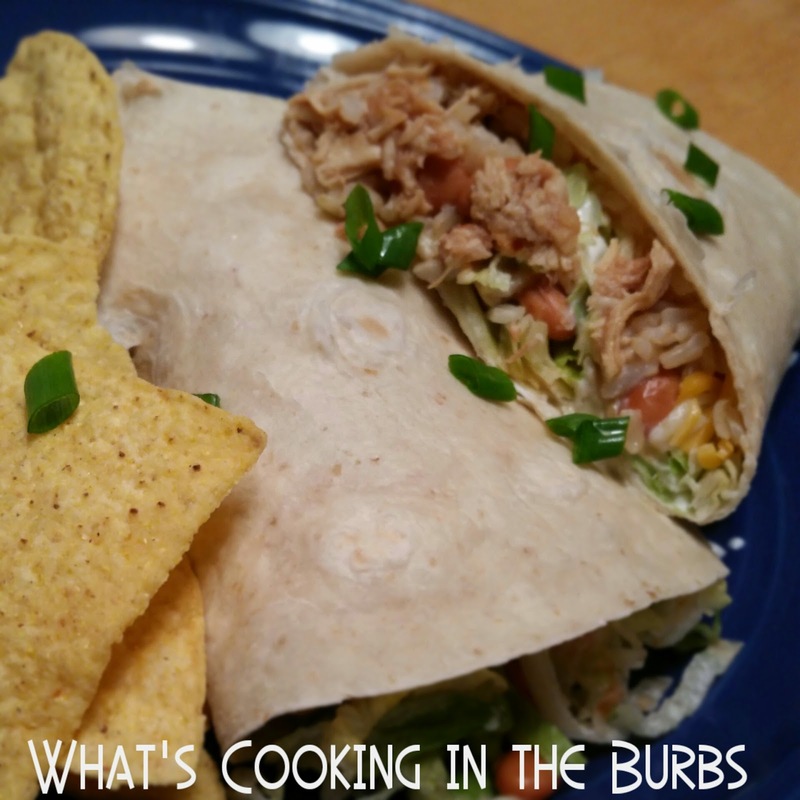 But these BBQ Chicken Burritos are a lighter and healthier change from the traditional burrito and they are so GOOD! In a small bowl mix together chicken and bbq sauce. Build the burritos by laying half of the chicken mixture on the bottom of tortilla, and then topping with half of the beans, rice, shredded cheese, and lettuce. Add in any additional veggies and roll up. Enjoy! These look really good! I usually have some BBQ chicken leftover when I make it too! Thanks for the idea!